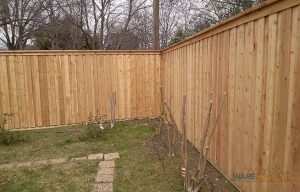 Do you require a dependable fence company in Grapevine, TX? At Ware Fencing, we provide all types of fence repair, fence replacement, and fence installation for residential in addition to commercial properties. With these services, we can work as a team to increase the property value of your house or business, as well as the curb appeal and safety! No matter what your objective is for your next fence installation, you can count on our crew to make your vision a reality. To learn more about your fence options, give the team a call at 817-948-4503 today! As an expert and local fence company in the Grapevine area, our team has years of expertise servicing houses as well as businesses in this community. We also provide professional farm and ranch fencing services, carrying reliable fencing answers for cattle, horses, and more. If you are searching for any type of home fencing solution, our professionals will have it! If you’re searching for privacy, we suggest cedar, and if you’re looking for something cost-effective that will not block your view, aluminum is a great choice too. If you’re looking for additional security for your house, we do offer specialized security fencing, along with the traditionally secure wrought iron. You can additionally contact us for custom fencing designs, so regardless of which kind of fencing you require, you can locate it at Ware Fencing. 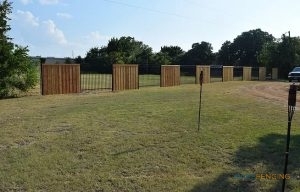 If you’re looking for a fence company in Grapevine, TX that you can count on, look no further. Customer satisfaction is our primary objective, and we only utilize high quality materials to finish our projects. Our team works diligently to supply each customer with the precise result they came to us for, and we look forward to serving you too. Give the team a call at 817-948-4503 today to schedule your appointment, or to ask for a quote. You can count on our team to fulfill your fence needs, regardless of what they are.